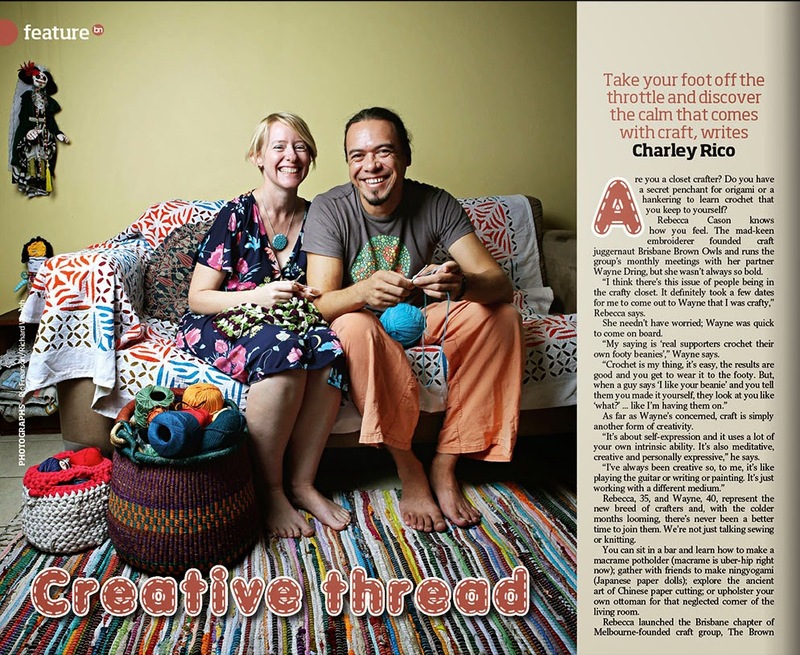 We were so excited when Charley Rico the fab journalist from Brisbane News contacted us about a feature article on getting together and crafting with like-minded people. Having just come off the back of the Art Bites workshop program and diving straight in to the Brown Owls 2014 program we had loads to say and it was a pleasure to have a chat with Charley and also a lot of fun doing the photo shoot together. 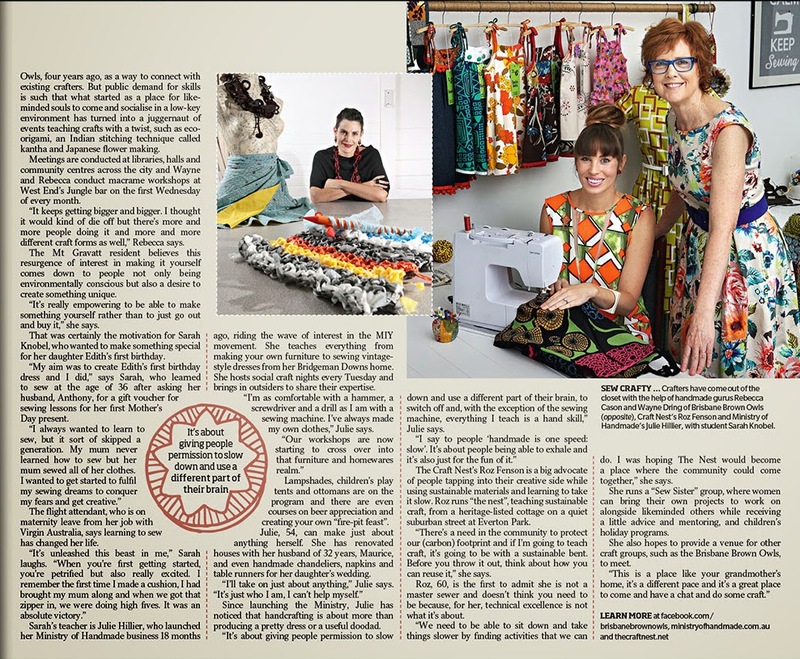 I was thrilled to bits to see the lovely Julie Hillier from Ministry of Handmade in the article. I think she's really revolutionising craft workshops in Brisbane and in fact I'm heading to one of her workshops this Sunday, what a treat!